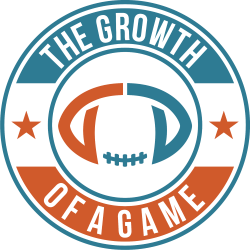 Our mission at The Growth of a Game is to promote and facilitate the growth of every aspect of American football in Europe. Not only do we run a series of developmental camps and represent players and coaches across Europe, but we are also proud to provide teams and retailers with the solution to all of their equipment needs via our consulting firm, Premier Class Consulting (PCC). At PCC, we guarantee to have the best prices in Europe. 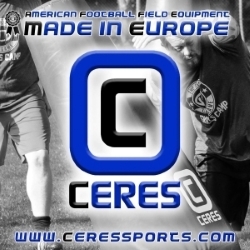 We are also proud to provide you with instant access to the most expansive selection of American football equipment in Europe. 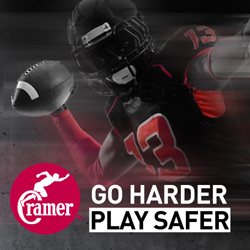 It doesn’t matter if you need helmets, shoulder pads, gloves, field goals, score boards, mouth guards, athletic tape, sleds, bleachers, field paint, flag football gear, or anything else — we have it all. We ensure excellent customer service and provide individualized attention throughout every phase of your order. From answering your questions about specific items to explaining our simple and seamless ordering and shipping process, we are with you every step of the way. We can fulfill orders of any size and have it shipped to any location, usually within 2 weeks. This includes complex orders from multiple brands which need to be shipped to multiple locations. Below, you can see our list of brands. Simply click on the “catalog” icon next to each brand description to directly access the complete catalog. 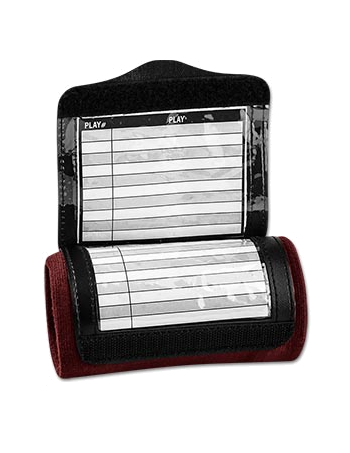 We are proud to provide you with every item in every one of the following catalogs. Rest assured, your pricing will be the best you’ve seen. Custom helmets, standard helmets, custom facemasks, standard face masks, custom shoulder pads, standard shoulder pads, back plates, rib protectors, rib vests, face frame pads, chin straps, eye shields, helmet accessories and kits, shoulder pad accessories and kits, helmet and shoulder pad sanitation products, padded shirts, padded girdles, girdles, insert pads, footballs, kicking tees, equipment bags, shoulder pad racks, etc. 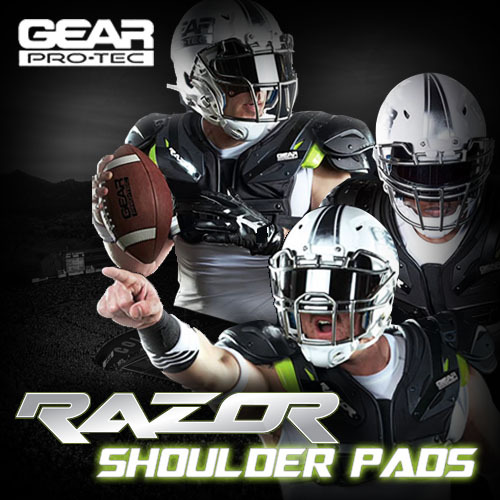 Custom shoulder pads, standard shoulder pads, back plates, neck rolls, neck restrictors, side rolls, rib vests, rib protectors, shock cushions, arm restraints, bicep pads, thigh pads, insert pads, shoulder pad cleaning products, etc. 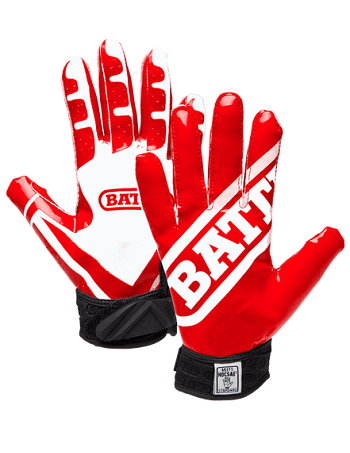 Receiver gloves, lineman gloves, running back gloves, leather footballs, composite footballs, rubber footballs, NFL licensed footballs, custom designed footballs, mouth guards, kicking tees, football brush kits, etc. NOTE: All items in the catalog are available for purchase, including all the baseball equipment from Louisville. 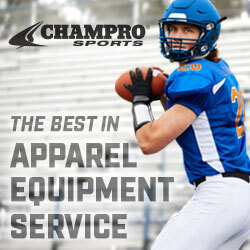 Shoulder pads, back plates, injury vests, rib protectors, neck rolls, replacement parts, compression shorts, girdles, soft pads, equipment bags, etc. 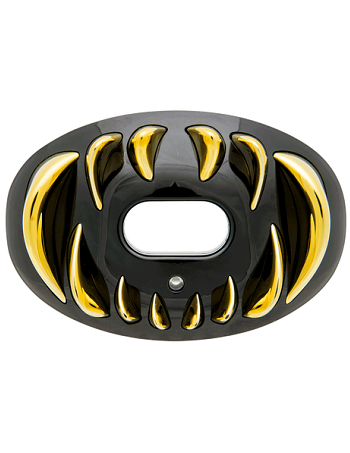 A huge selection of the coolest mouth guards on the market, gloves, lip protectors, arm sleeves, cleat sleeves, cups, ankle braces, etc. 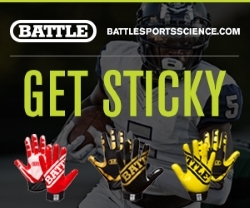 Battle Sports products can be purchased exclusively through The Growth of a Game. Shoulder pads, practice vests, back plates, rib protectors, etc. Custom uniforms, game jerseys, game pants, practice jerseys, practice pants, scrimmage vests, sleeves, braces, girdles, insert pads, shoulder pads, rib vests, back plates, rib protectors, collars, footballs, kicking tees, yard markers, down markers, kicking screens, pylons, equipment bags, flag football equipment, coaching accessories, referee accessories, wrist coaches, water bottles, etc. Receiver gloves, lineman gloves, forearm protection, elbow protection, knee protection, wrist protection, padded compression shirts, etc. Step overs, tackle wheels, tackle dummies, hand shields, blocking sleds, landing mats, pop-up dummies, goal post pads, equipment bags, etc. Blocking sleds, tackling sleds, specialized sleds, tackling machines, passing machines, power chutes, blocking dummies, standup dummies, shields, hands pads, agility bags, agility ladders, landing mats, goal posts, chain sets, yard markers, indoor sleds, etc. Blocking sleds, tackling sleds, specialized sleds, tackling machines, passing machines, power chutes, blocking dummies, standup dummies, shields, hands pads, agility bags, agility ladders, landing mats, goal posts, chain sets, yard markers, throwing nets, etc. Blocking sleds, tackling sleds, tackling wheels, punch training, step correctors, chutes, blasters, specialty pads, hand shields, stand up dummies, pop up dummies, pop up dummy accessories, agility bags, step over bags, agility ladders, resistance training, throwing/punting nets, chain sets, down indicators, sideline markers, custom goal post pads, standard goal post pads, goal posts, goal post accessories, sideline covers, stencils, signs, benches, custom chairs, standard chairs, field banners, triangle field signs, custom equipment bags, standard equipment bags, custom sideline capes, hand warmers, coaching accessories, wrist coaches, cones, strength and speed items, etc. 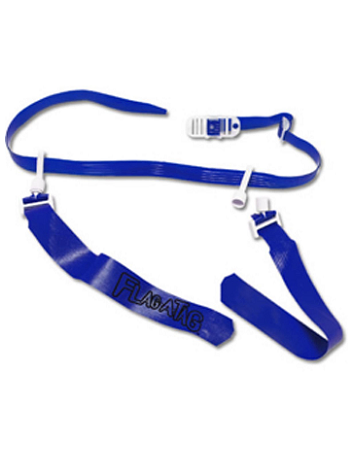 Benches, bleachers, canopies, tents, line markers, equipment bags, footballs, football bags, kicking tees, coaching accessories, passing accuracy training nets, kicking nets, chutes, practice equipment, agility training equipment, field equipment, chain sets, yard markers, track covers, field goals, customized field goal pads, standard field goal pads, field goal accessories, insert pads, girdles, shoulder pad racks, helmet racks, practice and game recording camera systems, mouth guards, wrist coaches, scrimmage vests, practice uniforms, practice jerseys, flag football equipment and accessories, hydration items, score boards, timing clocks, voice blasters, megaphones, whistles, stop watches, headsets, coaches radio sets, referee accessories, field paint, field chalk, and much much more. 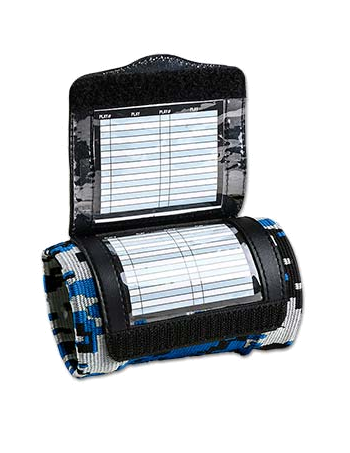 Athletic tape, colored athletic tape, underwrap, tape cutters and other taping accessories, first aid kits, braces, cold therapy, hydration, training kits, splints, foot care, sports hygiene, wound care, cold/heat packs, cold spray, girdles, compression gear, analgesics, mouth guards, etc. NFL, NBA, MLB, NHL, NCAA, Soccer, UFC, MMA, Olympic apparel, etc. Footballs with any customized artwork, standard footballs, equipment bags. Athletic lockers, athletic lockers with foot fockers and/or lock boxes, locker benches, locks, triple-tier lockers, etc. Baseballs, adult batting gloves, youth batting gloves, wheeled equipment bags, standard equipment bags, equipment backpacks, bat bags, infield gloves, pitcher gloves, outfield gloves, catcher mitts, teeball gloves, glove care kits, glove lacing kits, glove conditioner, adult game pants, youth game pants, adult jerseys, youth jerseys, etc. *All Wilson, Louisville Slugger and DeMarini products can be seen in the Wilson catalog. Infield gloves, outfield gloves, 1st base gloves, catcher mitts, fastpitch gloves, slowpitch gloves, Maple wood adult bats, Maple wood youth bats, Ash wood youth bats, alloy adult bats, alloy youth bats, alloy teeball bats, fast pitch bats, slowpitch bats, etc. Maple wood adult bats, Maple wood youth bats, Ash wood adult bats, Fungo wood adult bats, alloy adult bats, alloy youth bats, alloy teeball bats, fast pitch bats, soft pitch bats, etc. Adult catcher protective equipment, youth catcher protective equipment, umpire protective equipment, home plates, bases, pitcher plates, base accessories, belts, field marking paint, field marking chalk, field marking equipment & accessories, general accessories, etc. Custom uniforms, custom apparel, adult game pants, youth game pants, adult practice pants, youth practice pants, leather belts, synthetic belts, socks, compression shorts, cups, baseballs, practice baseballs, training baseballs, poly balls, pitching machine balls, batting helmets, protective pads, fielder gloves, catcher mitts, catcher sets, catcher equipment, batting tees, training accessories, field screens, rebound screens, in-ground bases, base accessories, pitcher rubbers, home plates, quilted bases, throw down bases, etc. Batting cages, portable batting cages, coach viewing platform, tunnel game, batting cage door, collapsible tunnel, batting cages accessories, vinyl backdrop with target, protective screens, tri fold screens, folding l screens, wheel kits, chain link backstops, hitting stations, portable backstops, fence guards, windscreens, outfield fences, foul poles, backstop padding, custom netting, boundary netting, field tarps, batting tunnel turf rolls, mats, string winders, grate guards, field groomers, drag mats, diamond pumps, puddle pillows, leveling board, infield brooms, loop edger, rakes, sifting scoop, hoses, hose reel kits, line markers, field stripper, paint, stripping paint, pitching rubbers, home plates, bases, practice pitching mound with turf, radar guns, pitching machines, baseballs, pitching machine baseballs, buckets, bucket covers, baseball field carts, batting tees, alloy bats, equipment bags, equipment backpacks, batting helmets, catcher protection, gloves, etc. 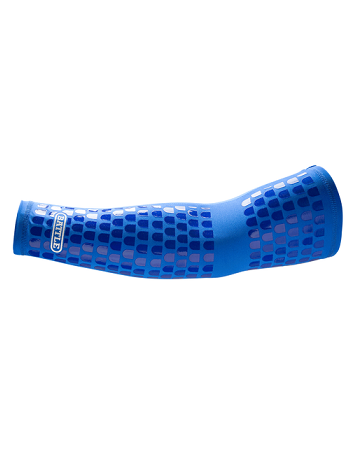 Batting gloves, fielding gloves, knee deflectors, wrist deflectors, elbow deflectors, chest protectors, forearm protectors, etc. Pitching machines, pitching machine accessories, field accessories, etc. Keywords: American Football equipment, American Football equipment Europe, American Football equipment store, American Football equipment stores, American Football shop, American Football shops, American Football shop Europe, American football Europe shop, American Football store, American Football stores, American Football store Europe, American Football shoulder pads, American Football helmet, American Football helmets, American Football shoes, American Football cleats, American football cleats Europe, American Football gear, American Football gear Europe, American Football equipment list.